Physical handicaps can make life difficult and challenging; however, there are treatments that can ease handicaps such as occupational therapy, physiotherapy—a rehabilitative treatment program, speech therapy and medications and vaccinations. It is important to note that those who suffer with a physical disability struggle with activities most of us take for granted such as walking, bathing and toileting. Keep in mind; a person can be physically disabled due to two basic reasons; congenital or heredity or acquired. Congenital/heredity is when a person develops a physical disability at birth or acquires the disability due to genetic problems. Acquired disabilities happen from industrial or road accidents, infections or diseases or disorders such as cancer or stroke. Being disabled doesn’t mean that your life is over; many with disabilities live good lives and enjoy many activities like shopping, movies or sport. However, those who are disabled need support from their families, doctors and friends so that they can become involved in everyday matters and receive the support they need from their community. Purchasing crutches is important for those who are disabled. There are two types of crutches; underarm crutches and forearm crutches. Underarm crutches are the most common type and are usually given to those who are recovering from an ankle or knee injury. The underarm crutch has an open cuff that grips the user’s forearm when it is being used. 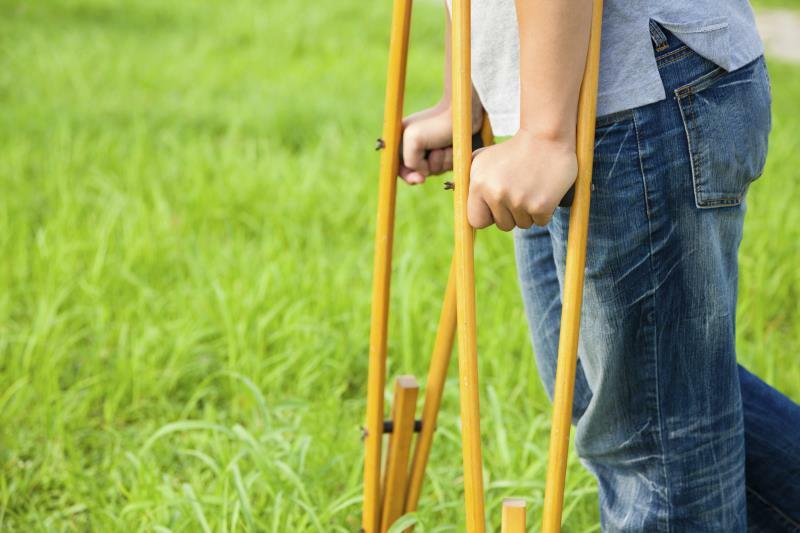 When wanting to buy crutches, there are several important tips to keep in mind such as strength and balance. Crutches need a certain amount of upper body strength. If a person has limited strength in their upper body, he or she may want to consider buying a knee walker. Underarm crutches are used the most and many find them easier to move around in. Crutch tips are necessary and important because they often have a rubber, slip-resistant tip. Crutch tips are important because they support your weight and keep the crutches balanced as you walk. Larger tips are recommended because they have a wider surface area that makes contact with the ground. They offer a good amount of stability. There are some crutch tips that make walking on your crutches faster and easier. In addition, some crutches have special spring assist technology which allows the crutch to move with the person and gently adapt to how a person walks. Crutch handles are also important. Because a good amount of strain on the wrists and hands occur when walking, some crutches have special handles that have extra padding. This reduces stress and makes walking easier. A comfortable handle on a crutch is also important because it causes less stress to a person’s hands. To conclude, physical handicaps make life hard but with treatments like physical therapy and medication, daily activities can be more accessible and doable. Crutch tips are especially important and can make moving around safer and easier.